CRANFORD, N.J., Dec. 20, 2017 /PRNewswire/ — Somerset Marine will be integrated into the International Logistics Division of Masterpiece International on January 2, 2018, focusing on further joint expansion of worldwide general cargo and governmental contracts capabilities and reach. Somerset Marine’s consolidation with Masterpiece International marks the continued growth and expansion of the Magnate Worldwide group, who acquired both companies in the last 24-months – creating an ever-increasing corporate unification of logistic companies who offer a mastery of specialty services. Somerset Marine’s forte lies in specialty movements, project cargo logistics management, and government contracts; while Masterpiece International is currently the market share leader in the United States for fine arts logistics movements and specialty industries. “This is a move to further bring our renowned service levels, in combination with our long-standing and diverse experience in different sectors, to all our divisions’ clients. We’ve spent the last two years really focusing on unifying our teams through exceptional new customer service protocols with heavy investment into technology, tracking, and security,” stated Masterpiece International President Thomas Gilgen. Somerset Marine’s fusion into the International Logistics Division for Masterpiece has seen the emergence of a unique ideological approach within the logistics sector. “Bringing the two companies together, who are experts of their respective crafts, has really created a dynamic team that’s unlike anything seen or previously done in the industry. It’s a really exciting time to be helping to shape the industry, its processes, technology and thinking,” noted Bill Carroll, Masterpiece International’s Vice President Strategic Development International Logistics. Combining the resources, experience, and knowledge of both companies has allowed it to look ahead collectively at emerging markets globally, while keeping a sharp-eye on its operational transparency, corporate practices, and business ethics. “When we became part of the Magnate Worldwide family, one of the biggest factors for us was that they shared our corporate values of integrity, trust, and social responsibility. We didn’t want to become part of just another ‘soulless’ corporation – we wanted to be part a consortium that really cared about its clients and the environments they worked in, and we found that in Magnate Worldwide. This emergence is allowing us to grow in the right way, with our customers’ needs at the forefront of our development. This is the first of many exciting announcements we will be making in the coming year, as we continue to expand our presence outside the United States and into the Middle East and Asia,” said Abed Medawar, President of Somerset Marine, now taking on the role of Vice President Trade Development. 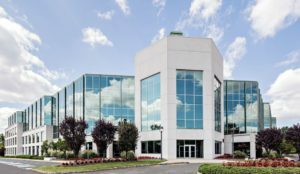 The International Logistics Division will now operate out of Somerset’s Marine’s offices in Cranford, NJ under its new moniker – making it the 16th U.S. location for Masterpiece International. Masterpiece International Ltd. was founded in 1989 in New York City, where its headquarters remains the preeminent logistics provider to the fine arts community, and specialty industries across the globe for nearly three decades. It has since expanded into 16 locations across the United States, with access to every major U.S. port and airport, and agents and representatives worldwide. Find out more at www.masterpieceintl.com.